The colour of rich, radiant berry is a staple for your winter wardrobe, decor ideas and beauty bag. Style director Louise Hilsz shares how to embrace one of our favourite colours to cosy up to this winter. Model Chantelle Price photographed outside a Victorian terrace house in Melbourne. The team at BeautyEQ travelled to Melbourne with thanks to Visit Melbourne. Berry, Bourdeux or maroon fashion is best teamed with shades such as mustard, khaki, navy, and green. Or wear it with winter's neutral palette of grey, camel, black and blue. Look out for garments with detail such as floral prints or textured velvet finishes, and always embellishment, if you want to diversify away from a block wine colour. While most stylists say to steer clear of keeping the same colour scheme from head to toe, when wearing berry this is one look where you need not play by the rules. Verge Zen dress, $420. Verge Odette coat, $500. ECCO Incise Tailored brogue, $299. Four Corners Botanica headpiece, $125. Dark and mysterious berry hues can't help but make you feel ready to embrace winter. The medley of raspberry, mulberry, and blackcurrant including graphically patterned cushions and watercolour prints makes for a chic and cozy colour scheme in your home. Let your imagination run wild with a whimsical wallpaper, teamed with simple furniture with clean lines this allows the paper and soft furnishings in your home to be the star of the show. Resene Komar 15 Collection wallpaper. Me & My Trend Baxter sofa, $2495. 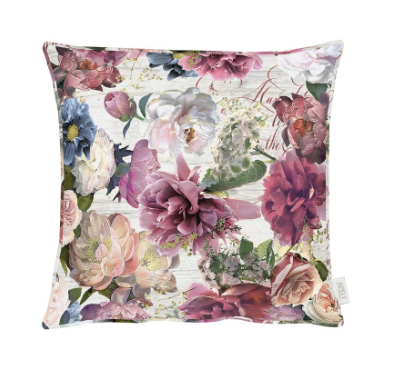 Voyage Maison Jardin Plum cushion, $95. Weave Paloma cushion, $POA. When it comes to beauty, berry (aka claret, wine, Bordeaux or plum)is a go-to lip and nail colour for after five. Regardless of the hue you choose, it demands attention. Make sure you prep your skin to perfection with a light foundation in a matte finish before buffing on a berry blush. Team dark berry shades with neutral eyeshadows such as grey, bronze, brown, or gold, then really load up the lashes with black mascara. 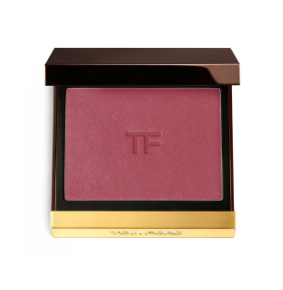 Tom Ford Cheek Color . Benefit Lip & Cheek Stain mini, $24. Smith & Cult Lovers Creep Nail Lacquer, $35. Gucci Guilty Absolute Pour Femme Eau de Parfum Fragrance Spray, $102.